Lisa Sowle Cahill, PhD will be giving the lecture, Health Care, Bioethics, and Justice: Where are the ‘Catholic’ Political Priorities? at the Seventh Annual Endowed Lecture in American Catholic Thought and Culture. The event is free, and the room will be open for light refreshments at 6:30 pm. 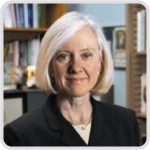 Professor Cahill is the J. Donald Monan Professor of Theology at Boston College, where she has taught since 1976, and has also been a visiting professor at Georgetown and Yale Universities. She received her PhD from the University of Chicago, and is a past president of the Catholic Theological Society of America and the Society of Christian Ethics. Sponsored by the College of Arts & Letters, and St. John Church and Catholic Student Center. This entry was posted in Bioethics Events, Friends of the Center. Bookmark the permalink.